Overall, better long-term performance and life-cycle can be expected from properly formulated, installed and maintained SBS roofing systems. A special detail in SBS (Styrene-Butadiene-Styrene) roofing systems is that it permits the re-use of insulation and other components including the waterproofing membrane themselves in a flat roof recovery. The materials beneath the roofing membrane including the insulation and cover board as well as the workmanship during the installation process are determining factors on how long the roof can last and how much of the material can be reused for a flat roof recovery or flat roof replacement. Proven roofing technology – has been used successfully since 1975. A flat roof membrane that combines the multi-layer benefits of a built-up roof with the installation advantages of a single-ply membrane. Can be torched, mopped, or cold applied, depending on the limitations of the project. Excellent material for repairing existing bituminous roofs. Proper asphalt temperature during application and skilled torching techniques are critical to modified bitumen performance. Cost of petroleum and the difficulty of finding skilled labourers are major factors. We value our clients and believe in 100% customer satisfaction. 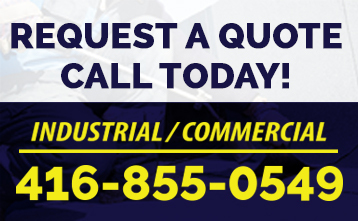 Call 416-855-0549 today for a free, no-obligation estimate on your next flat roofing project.